TMJ stands for TemporoMandibular Joint, it connects the mandible to the temporal bone, it has hinge and sliding action, with a disc and cartilage present. TMJ pain can derived from many causes. Injuries, blows to the head, malocclusion, neck injuries. TMJ and neck pain can occur simultaneously and restrictions are normally present in the joint itself but also restrictions of soft tissues surrounding the TMJ. Restrictions from fibrous nature forms due to irritation and compensation mechanism that the body has, and will limit normal motion of tissues, at the same time, cranial restrictions or abnormal motion of cranial bones can also be present, contributing to the vicious cycle of pain and discomfort. Orthodontic Dental approaches to correcting malocclusions and proper alignment of teeth has a toll in the general health of the client. From extractions of teeth to surgically readjusting the mandible, and the use of dental appliances like braces can somehow compromise the normal mobility of facial and cranial bones if the client has cranial restrictions, TMJ imbalances and they are not addressed before implementing dental appliances. As all structures are interconnected, it is common to find in clinical practice clients that have a history of back pain, neck pain, Irregularities in menstrual cycle, headaches, TMJ dysfunctions, even scoliosis that may relate to dental work. The human body react easily to forceful external forces like braces or surgery to correct malocclusion of teeth that these changes can become detrimental to the health of the individual. Chain of reactions can ended up affecting the proper mobility of sphenoid bone, bone that houses the pituitary gland , the master gland that has somehow control over the others gland in the body, and can compromise proper functions in the body. ​Osteopathic treatments are effective for resolving and for pain relief of Orthodontic issues and TMJ disorders. Osteopathic manipulative techniques focus on releasing restrictions and rebalancing cranial bones, mandible, and facial structures. Readjusting dental structures that have been affected either by dental appliances or by releasing restrictions due to scar tissue formation as a result of dental surgeries. Acupuncture will open up qi and energy channels to the TMJ, relax muscles and tissues that connect to this joint, will reduce or shut off nociceptors signals or pain signsl to the brain. There are many energy channels passing near or surrounding the TMJ, thus more energy and bloood circulation will benefit the tempormandibular joint for proper healing. 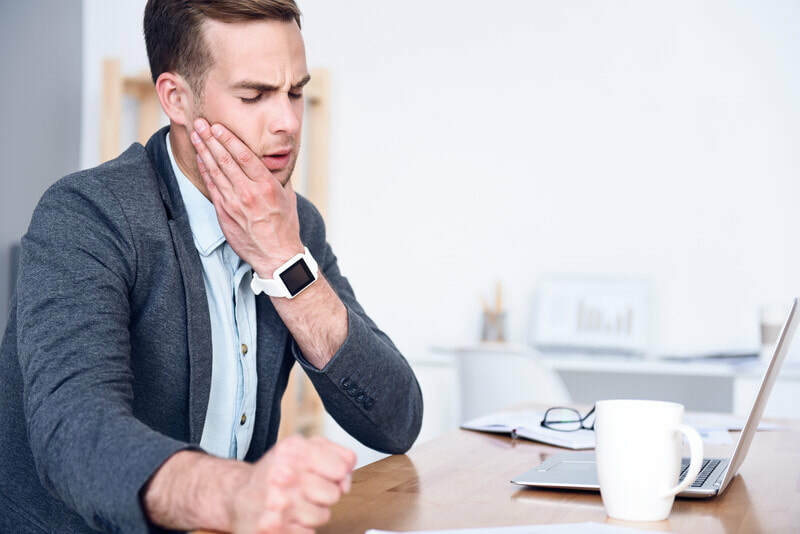 ​In some cases, individuals will tend to clench their teeth unconciously when stressed during the day or at night , putting pressure on the TMJ, leading to tension, and inflammation of the joint.